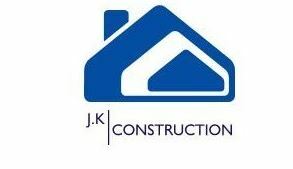 J.K Construction - Builder, Carpenter based in Maidstone, Kent. Welcome to J.K Construction South East Limited. We are an established construction company with a great number of years’ experience in delivering good quality reliable projects, taking pride in all our work. Unlike other companies there are no extra charges, the price stays fixed! Also, there are no upfront fees for any services including the supply of materials, as well as all payments are staged upon completion of each segment of work, leaving you in full control, at no financial risk. We offer a full complete building package with a free detailed specification including mechanical and electrical details with every quote, tailor made to your requirements. This guarantees that you will receive the work you pay for and expect, exactly how you want it. A schedule of works can also be provided to keep you informed of progress. All our tradesmen are highly skilled, polite and friendly, providing high standards and a professional service. The majority of construction companies’ use outside sources to do their plumbing and electrical work, etc. meaning finishing dates are not solely reliant upon your builder and rarely upheld. However, all our work is done by our full-time staff which includes Gas Safe Registered tradesmen, and NICEIC qualified electricians. Work is carried out to your exact details, and there is no improvising or cutting corners. Most builders will standardize windows and door sizes to allow them to purchase them at a lower prices and quality, however all ours are tailor made, come with a FENSA certificate, and the design and number of openings is stated in your specification, provided free of charge with your quote. We fully liaise with building control throughout the build, making sure the work is passed and only when you receive your completion certificate do we request the final payment. We are happy to work under JCT contracts, which we can provide. All work comes with a 10 Year Guarantee, to give you that peace of mind.